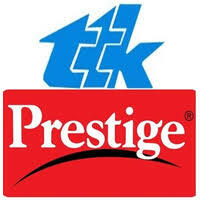 TTK Prestige announced that its board will meet on 29 March 2019 to recommend issue of bonus shares, subject to the approval of shareholders. The announcement was made after market hours on Friday, 22 March 2019. Max India announced that its board appointed Analjit Singh as a non-executive director and chairman on the board with effect from 1 April 2019. Rahul Khosla, chairman and non-executive director of the company, will step down from the board of directors of the company effective closure of business hours on 31 March 2019. The announcement was made after market hours on Friday, 22 March 2019. Dr Reddy's Laboratories announced that the audit of research and development facility of Aurigene Discovery Technologies, a wholly owned subsidiary, situated at Miyapur, Hyderabad by the US Food and Drug Administration (USFDA), completed on 21 March 2019. No FDA 483 was issued at the end of inspection. The announcement was made after market hours on Friday, 22 March 2019. State Bank of India (SBI) announced that its board approved extension of validity period for raising equity capital of upto Rs 20,000 crore from market by way of FPO/QIP/preferential allotment/rights issue/any other mode or a combination of these till 31 March 2020. The announcement was made after market hours on Friday, 22 March 2019. In a separate announcement, SBI's board approved allotment of 12,513 non-convertible, taxable, perpetual, subordinated, unsecured basel lll compliant additional tier 1 bonds, for inclusion in additional tier 1 capital of the bank, in the nature of debentures of face value of Rs. 10 lakh each, at par, bearing coupon of 9,45% p.a. payable annually with call option after 5 years or any anniversary date thereafter, aggregating to Rs. 1251.30 crore to the bond subscribers on 22 March 2019. The announcement was made after market hours on Friday, 22 March 2019. Infosys said it will invest $10 million in US-based artificial intelligence-focussed venturecapital fund, The House Fund II. The transaction is expected to be completed before the first quarter of the financial year 2019-2020. Minority holding in the proposed transaction will not exceed 20% of the total fund size.  The announcement was made after market hours on Friday, 22 March 2019. The Ramco Cements has subscribed to the rights issue offer of Ramco Industrial and Technology Services and has acquired 45 lakh shares of Rs 10 each at par on 21 March 2019. Consequent to the acquisition, the shareholding of the company in Ramco Industrial and Technology Services is 94.12%. Hence Ramco Industrial and Technology Services would be the subsidiary company of the company. The announcement was made after market hours on Friday, 22 March 2019.
International Paper APPM announced that there will be outage (maintenance) from 25 March 2019 to 30 March 2019 (both days inclusive) in the manufacturing facility located in Rajahmundry, East Godavari District, Andhra Pradesh. The estimated loss of production will be around 500 tons per day. The announcement was made after market hours on Friday, 22 March 2019. Insecticides (India) announced that its subsidiary, OAT & IIL India Laboratories, will inaugurate factory at Chopanki (Rajasthan) on 25 March 2019, for commercial production of agrochemical. This facility has capacity to manufacture 1100 KL per annum of Sodium Paranitrophenolate 3.0 SL. The announcement was made on Saturday, 23 March 2019.